Free PST file Reader. How to open and read PST files. 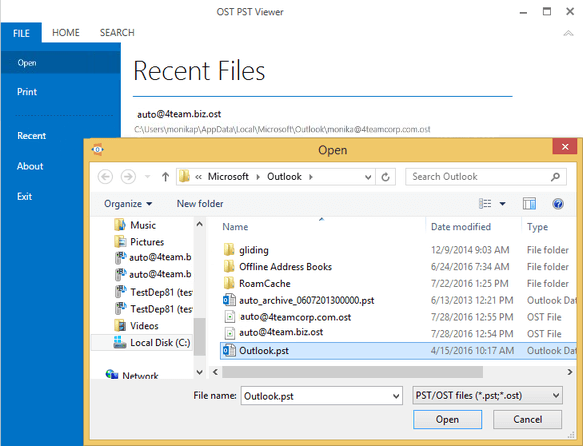 OST PST Viewer is a free Outlook PST reader. This software has been built for people who need to open, view and read PST and OST files without connecting them to Microsoft Outlook. With PST reader, you don’t even need to have Microsoft Outlook installed on your computer. Simply click the “open” button in the application file menu and choose which OST or PST file to view; all your data will become available for reading. No more steps are needed to read PST files. 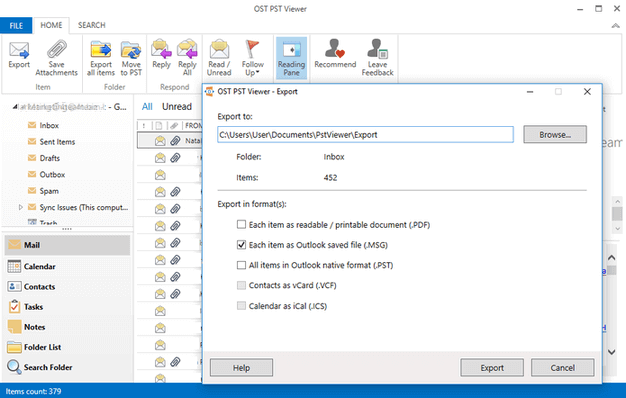 OST PST Viewer is a time saving tool for people who have orphaned or connected PST files backups and archives and need to find data quickly without Outlook. You can open and view PST files, read email messages, take a look at your contacts list or simply find your calendar’s appointments and events. OST PST Viewer is not just a powerful PST reader. With the Pro version, you can export PST data folders or selected items and attachments to MSG, VCF and ICS and other file formats. If you don’t need the whole file exported to another file format, you can simply copy some text and paste it wherever you want. You can print out email directly from OST PST Viewer.